There once was a grand, but lonely window that needed a home. Even though, this lonely window was stunning and strong, like most things it could not stand alone. This made the window sad . . . all it wanted to do was simply brighten a room and have a place to call home. Because the window was so grand it could not be in just any room. The room had to be an epic, strong room to support the weight of the window. Now you see, the window was foolish and just couldn’t understand why he of all windows, couldn’t just be a window and let the sun shine through. After all he was big, strong, and a glorious window in size, all by himself. Why would he, of all windows, be left in a dark, dusty room? But a wiser man, known as the Visionary, knew that nothing could stand alone. The Visionary knew, everything worth something needed support. This wise but simple lesson the Visionary not only lived, he taught his whole life through. So the window waited. . . in a dark, dreary and dusty cell like room. 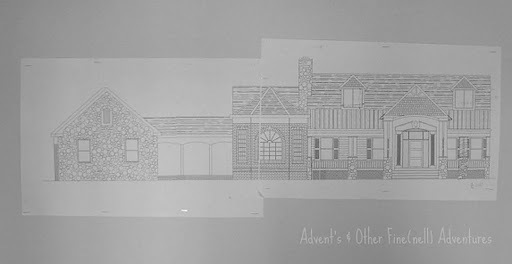 Until one day the Visionary‘s son and his wife had a dream to remodel their home. In this special dream, the pair wanted the window to have a special place of his own. For they too thought the window was grand. This made the window very happy. He wanted to move in right away. Everyone but the window knew these things take time. 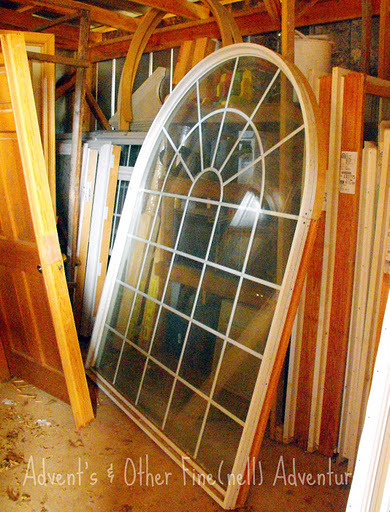 First of all: a window like this needed a large frame and strong walls for support. But, before frames and walls could be built, all dreams have to dreamed. Then of course, those dreams have to be formed into plans. Plans have to be drafted and drafted and drafted again. And this, much to the window’s disappointment, would take a very, very long time. One day, as the Visionary was growing weak, his son , the Craftsman, went to his father and told his father all about about this grand and lovely window. The son told his father he wanted the window to live with him and where he had dreamed the window would be. Now the story goes, before the visionary closed his eyes and bid farewell, he set right to work and he gave as only he could give ~ by: teaching, listening and dreaming the dreams of other dreamers. And most importantly, for the window, the son, and that moment in time, the Visionary did what he always did ~ he carefully and most lovingly, placed all those dreams onto paper. . . so the dreams of all the dreamers could become reality through the hands of his first born son, “the Craftsman“. And though it took time. . . the window grew impatient. He wanted what he wanted ~ and he wanted it all to be done right away. Sadly, the Window didn’t know the Visionary had gone. So for a moment, more time stood still. Until the Craftsman picked up the plans again that his father had so lovingly and carefully drawn. With a heavy heart, the son decided he must carry on. Even though the Visionary had gone, his spirit remains close by. This we know is true, because, the Visionary’s first born son was wise, like his father. He knew better then the window. The Craftsman knew, from the lessons of his father, the foolish window must have a strong foundation, good support and the perfect plan to stand strong. There was so, so much to do. To the window, the work seemed to last forever. and then . . .at long last! The young, strong, proud walls ~ the old, wise, steady bricks from the mill, now stood ready to support the foolish, impatient but lovely window. 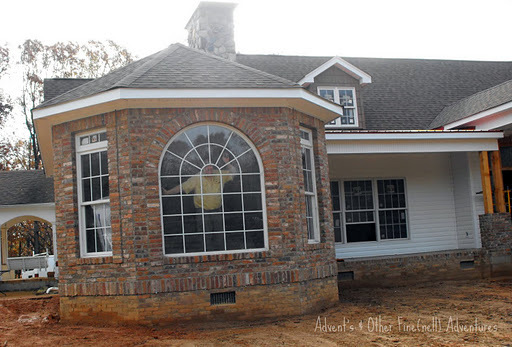 Even though the house was not finished, the window rejoiced ~ for he was finally out of that dark and dreary room. The window had a place to shine. A place to finally call home. This may look like a big pile of rubble to you. But, to us it’s history. . . it’s our past. It times Margaret, our mother and I shared with our dad. Our father was a visionary. He was able to see beauty and opportunity in everything. . . Even a big pile of bricks. Once upon a time, many years ago, there was a old abandon mill that fell down. There was no hope for this big pile of devastation ~ until one day our father drove by and saw art laying in the rubble. 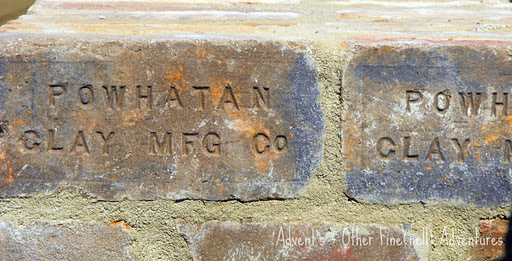 He saw hand made bricks that could be used again. If only he had someone to pick them up, clean them off, and get them to a new home. Never really seeing a problem, our father knew he could always count on the woman in his life to figure out these minor details. So, one Sunday afternoon, after Mass, our father convinced our mother and two of his little girls to go out for a Sunday drive to see a mill that fell down. It just so happened that the owner of this mill didn’t mind if . . .someone picked up the bricks and cleaned up the area just a little bit. And that someone you see just happened to be. . . me, my mother and sister. . .that’s three. So Margaret, our mother and I set to work with our father by our side. 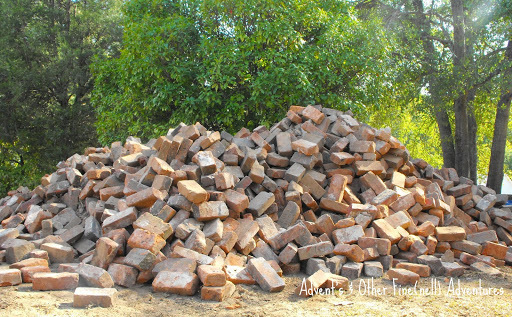 We piled, cleaned and scraped bricks. Two little girls, a devoted wife and the visionary moved, one by one, well over 10,000 bricks to a new home in the country. Through out the years the bricks were used many times. Once there was a devastating fire in our childhood home. 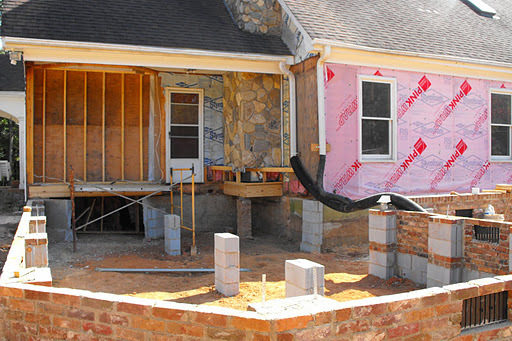 The bricks were used to rebuild, remodel and repair to make the house “better then ever“. There were so many bricks not all of them could be used at that time . . . So they waited. . . until at long last. . . the visionaries son used them on his own home many, many years later. 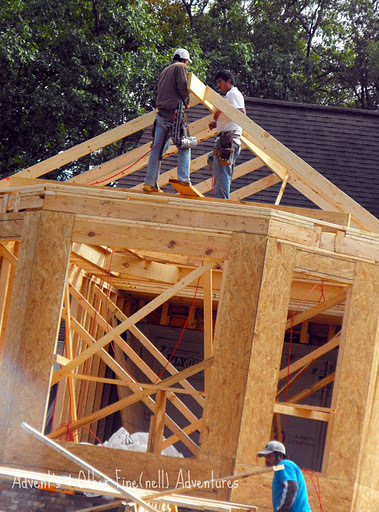 Our mother has always said, ” Bill was born with a hammer in his hand.” He has always had a love for building. Because of our father’s construction business this natural talent Bill showed could be nurtured. As the years past it came to be ~ our father would design and our brother’s would build his creations. 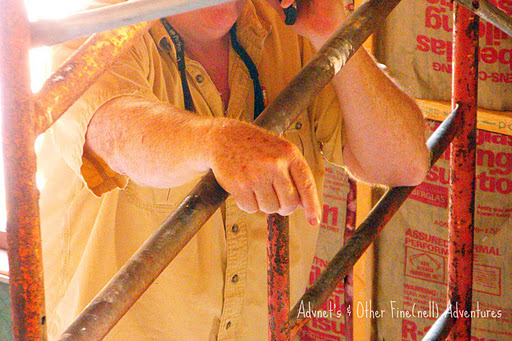 George worked on everything electrical and Bill would handle the building and craft work. As Bill grow older he truly became our father’s hands. 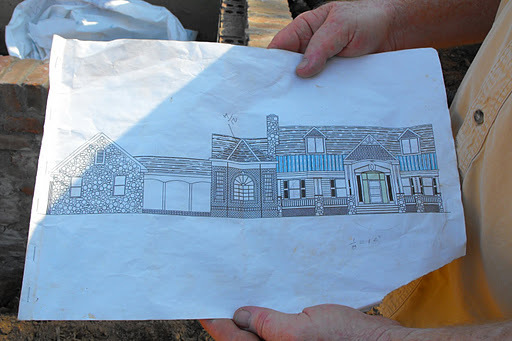 It has come to pass in this bitter sweet moment of time our father’s last creation is being made reality now that Bill has decided to remodel his own home. . .